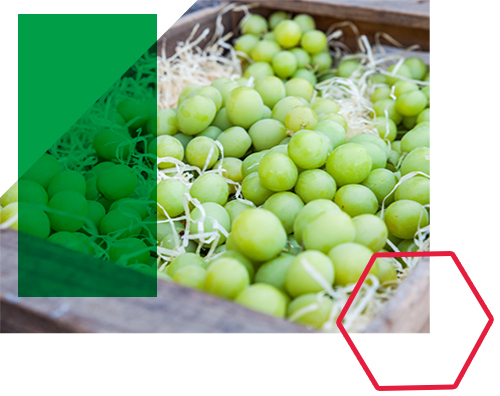 Uvasys Pak is a combination Uvasys sheet and liner bag product that is designed to suit the needs of table grape growers, packers, exporters and importers who prefer to streamline their packing operations. It offers the same technical advantages as Uvasys whilst also combining it with a sturdy liner bag, perforated and with an easy to use tear-off section. Different permutations of Uvasys products and liner bag sizes as well as aeration/perforation are available, ensuring that Uvasys Pak always suits the need of every client. 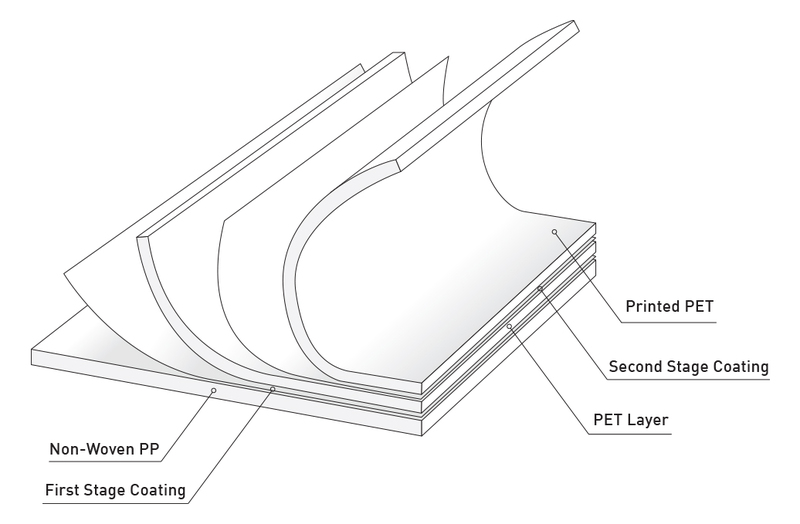 The selected Uvasys sheet is made up of a sequence of laminated plastic membranes, bonded by a wax layer containing precise concentrations, and particle sizes, of Sodium Metabisulfite: Na2S2O5. 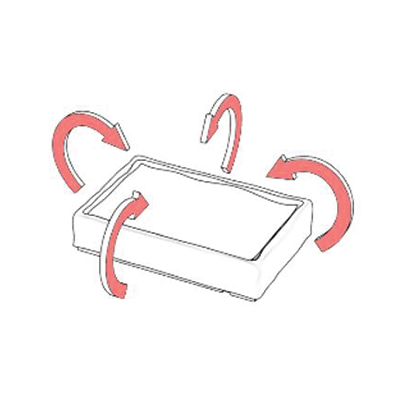 The top and middle plastic membranes, sandwiches the Slow Release layer. The middle and bottom membranes sandwiches the Fast Release layer. At above 75% relative humidity an autocatalytic reaction is initiated, whereby the sheet starts releasing a time, and concentration-varying stream of SO2. The Fast Release sterilizes the surface of the table grapes, by releasing a large enough dose of sulphur dioxide over a 24 to 48 hour period to kill and eliminate any actively growing Botrytis cinerea fungal spores. The Slow Release layer remains active for up to 120 days, emitting a low, continual dose of sulphur dioxide gas, concentrated enough to inhibit any superficial latent or inherent Botrytis cinerea spores from growing, but also low enough to ensure sulfite residues within the table grapes remain safely below the legal limit of 10 ppm. Infection which occurred at flowering could still develop but will be contained to the affected berry. The quantity of SO2 emitted is critical to the efficacy of the product as an excessive release of SO2 can cause bleaching while insufficient release may not prevent the development of Botrytis. SO2 not only protects against fungal growths but also helps in maintaining a greener stem colour. For more detail on the chemical reactions please visit the Research page. Use the Uvasys Pak size recommended for the corresponding carton size; refer to the below options table. 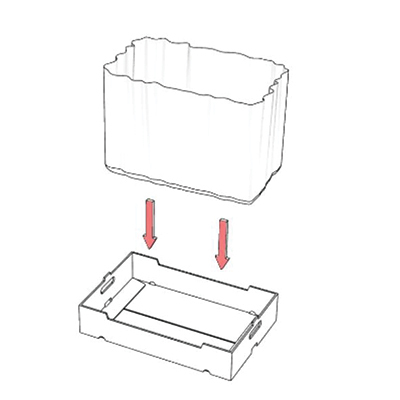 Line the carton with the Uvasys Pak, making sure the bag is correctly seated in the carton. 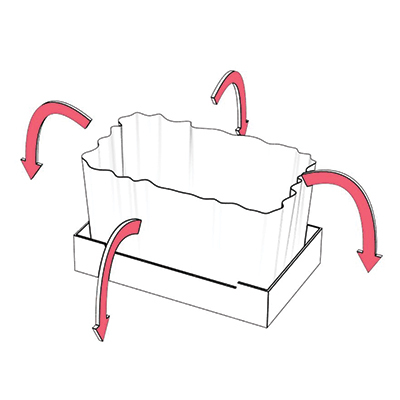 Once correctly positioned inside the carton, fold open the bag and make sure the sheet is on the outside of the carton. Please note: Uvasys Pak needs a minimum of 75% Relative Humidity to activate. 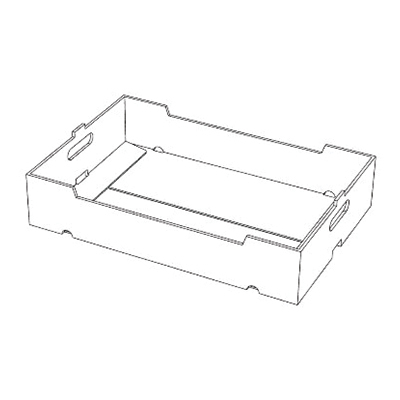 Place the grapes inside; punnets (heat sealed or open top), clamshells, zip-lock bags, polycote bags, carry bags or loose packed grapes may also be used. NB: When using open top punnets please ensure a minimum of 10 mm headroom. If this is not achievable, please use tissue paper (25g or higher) beneath the sheet or make use of side-ventilated punnets. 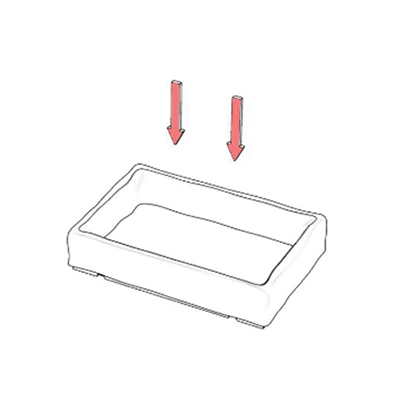 Fold the plastic liner, back, over the content of the carton, making sure the sheet is correctly placed on top of the product, close and cool to storage temperature (-0.5 ℃) as soon as possible. If condensation is expected, place an absorbent pad or paper on top of the sheet before closing. Please click on the download button for a PDF of the Material Safety Data Sheet (MSDS). You will be taken to the Downloads section of the website where a login is required to retrieve the document. A suitable PDF reader will be required. Please use the Contact Us page for specific questions. Please find below the generic sizes pertaining to the product. We also manufacture alternative sizes depending on specific client requests. Please get in touch to find out if we already have the size you require available. For frequently asked questions pertaining to this product please click this link where you will be taken through to the FAQ page. Disclaimer: This website is for marketing purposes only. All references to values, volumes, timeframes and other variables are guidelines only. If you require precise information please use the contact us page with your query.